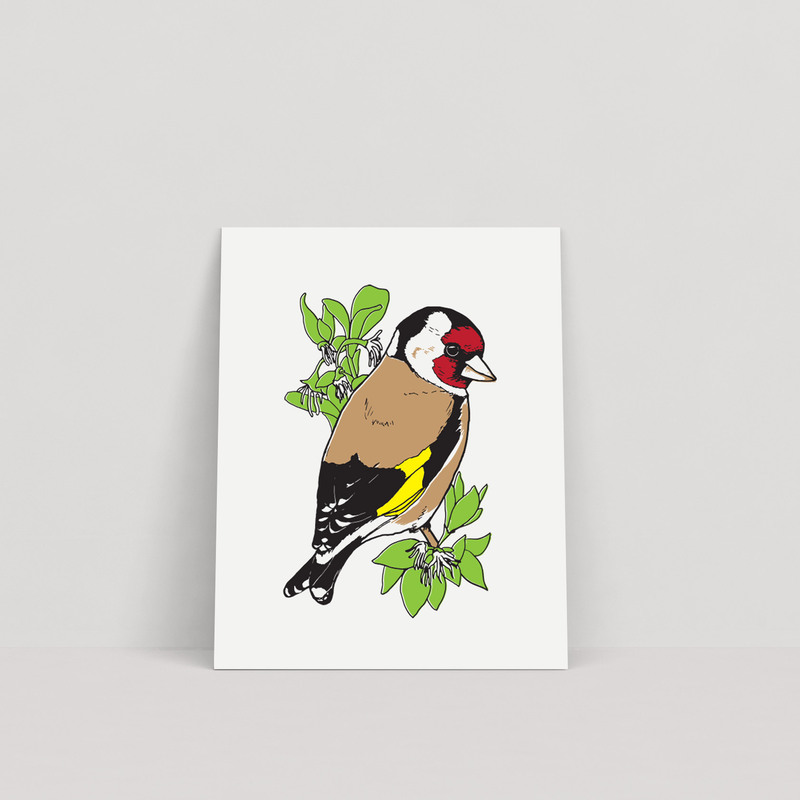 This five colour screen print measures 8×10 inches and features a beautiful goldfinch on a branch. 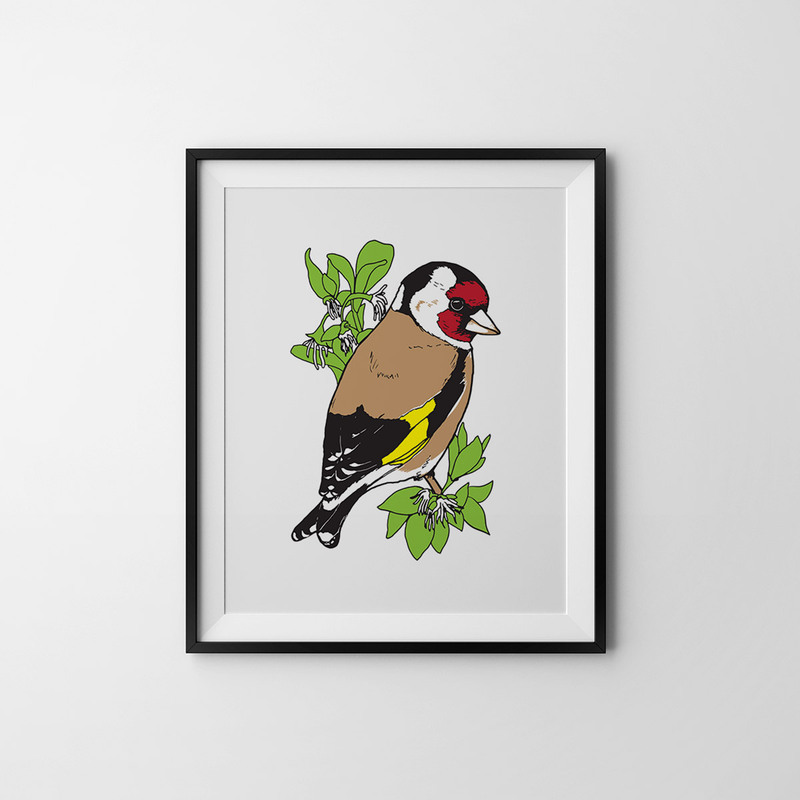 Who doesn’t love seeing the striking red face of a goldfinch in their garden? These pretty little birds make pleasant tinkling sounds and brighten up the place wherever they choose to land.